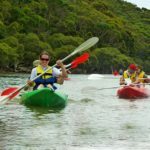 Canning River Kayaking Tour: Hidden in Perth’s southern suburbs is the amazing Canning Regional Park where our half day Canning River kayaking tour runs using open double kayaks. You'll marvel at the serenity of this area as you paddle quietly amongst the paperbark trees watching the abundant and beautiful water birds amongst the natural vegetation. This is an ideal way to introduce the whole family to the wonderful world of kayaking. A tranquil canoe trip on a beautiful river, with lots of water birds. 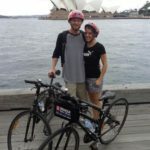 Escape the rat race, cars, roads, and the office! This half day Perth kayaking tour starts at Riverton Bridge and paddle upstream to Kent Street Weir and back which takes a couple of hours. 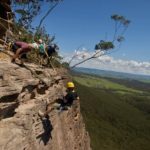 What will I see on this kayaking tour? 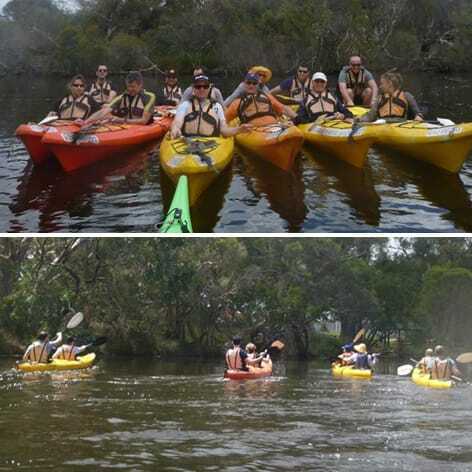 During the paddle you will be exploring the Canning Regional Park on the southern suburbs of Perth where there are lots of water birds to be seen amongst the natural vegetation. The area is very sheltered because of the surrounding trees and narrow banks so the water is very calm. It’s a fun way to exercise and get away from the daily rush. Ideal for families and friends to get together and enjoy a safe kayaking trip. Shorts, footwear you don’t mind getting wet, towel, hat, sunscreen, strap for glasses and change of clothes for after. Dress for the weather and assume you will get a bit wet from the paddles. Bring something to drink, and there will be time for a snack also if you want to bring something to eat. If your camera is not waterproof a dry bag is recommended. Childs age range up to 16 years. If the kayaking tour is cancelled, it will be rescheduled for a later date. Meet us at Kent Street Weir, near the Canning River Cafe. Highlighted dates indicate which days are available for this experience. To book, simply click on a highlighted date. Ask us your question below, and we will respond shortly. Use the form below to tell a friend about this great adventure.